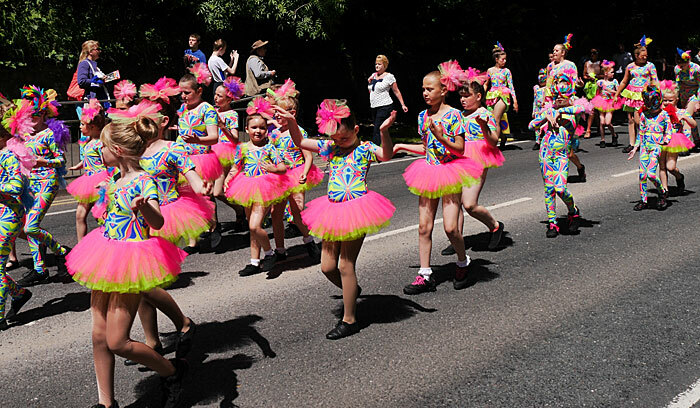 As usual most of the body of the procession consisted of the dancers from the various local dance schools. 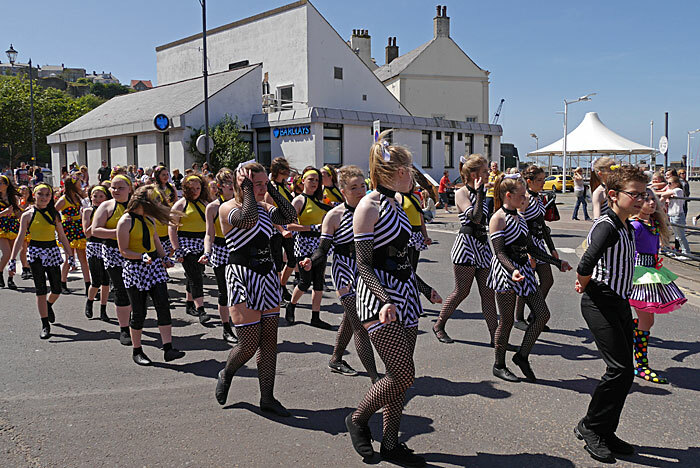 They not only complete the journey around town but keep stopping to dance en route. 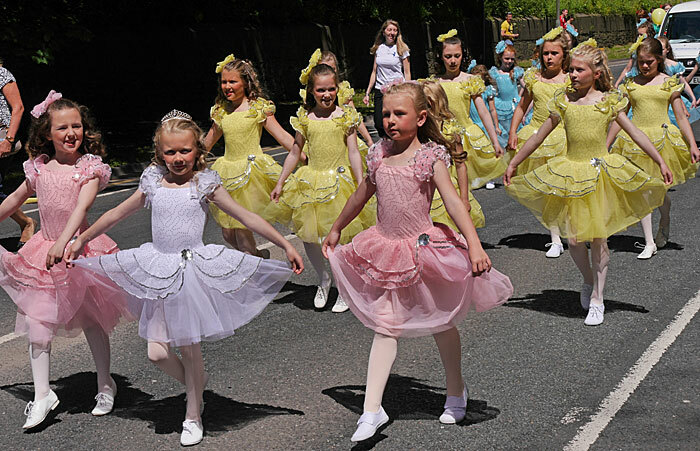 When they have completed the parade they also perform their routines to a large crowd in the castle park where they are presented with their prizes. 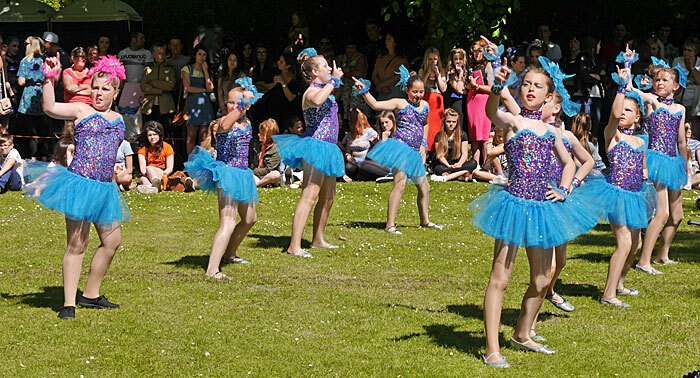 Here we see some of the Stage Stars sparkling in the summer sun. Popsteps dancers are a bit unusual in mixing the older dancers in with the youngest ones so that they can help them out (and occasionally throw them about a bit). The Popsteps dancers had very colourful costumes and the observant amongst you may have noticed I pinched some of their material for this year's background. 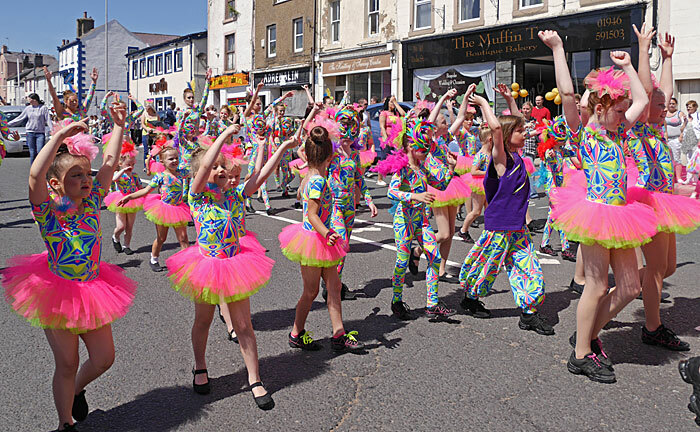 The oldest dance school in town is Cowper's and these dancers were in traditional ballet costumes but refrained from doing the course en pointe. 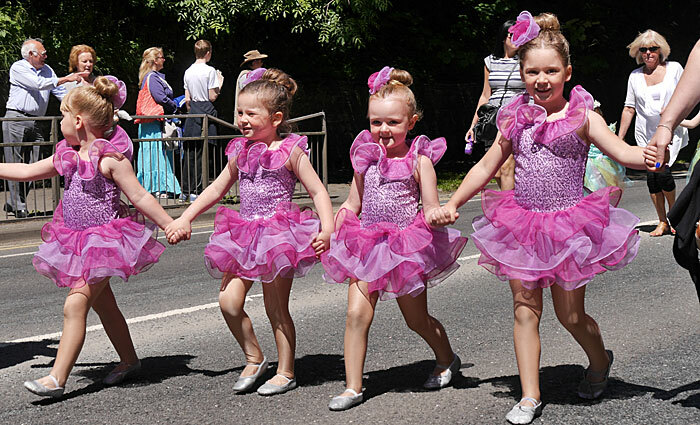 These dancers from Starkey's had the classical tutus and performed ballet movements but had a more contemporary feel with their choice of music and black basque tops. These little Darlings in an art nouveau style were from the September production at the Civic Hall of the musical Peter Pan by the Stage Stars. 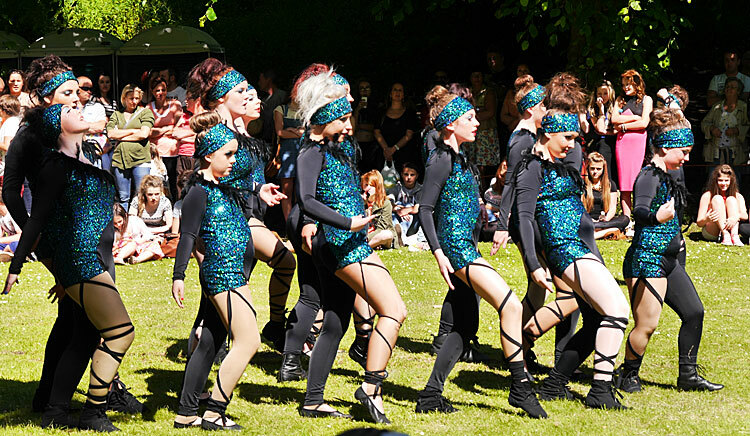 Duke Street is a good place to watch the dancers as with this troupe from Starkey's they always stop there to perform a routine. 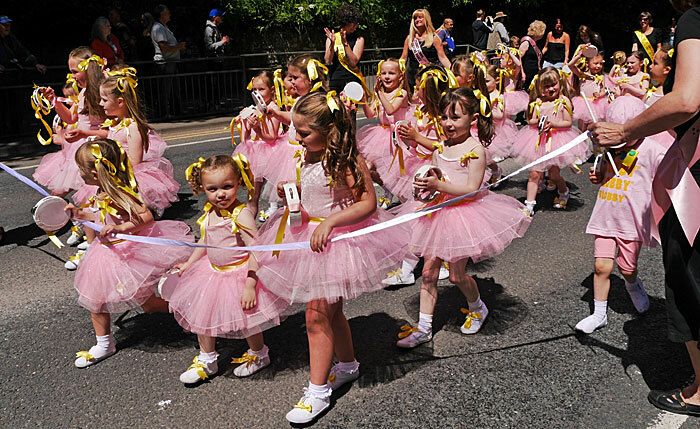 Starkey's School of Theatre Dance was celebrating its 20th anniversery and so it's quite likely some of these little ones had mothers who were also at the school and did the carnival back in the last century. Makes you feel old, doesn't it? 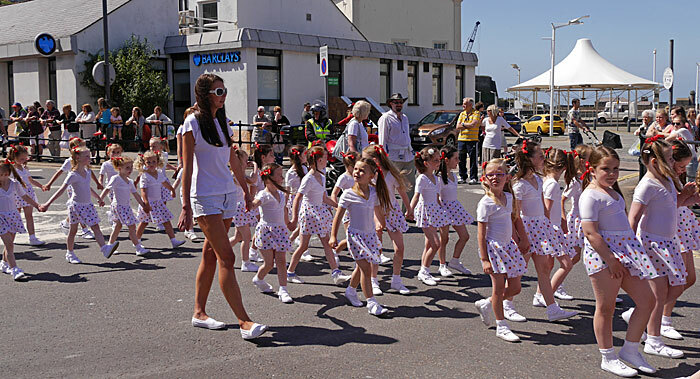 The summer sunshine certainly brought out the smiles on the dancers here seen on Strand Street at the juncion with the Market Place are the Cowpers class in white and polka dots and Stage Stars on the New Road. 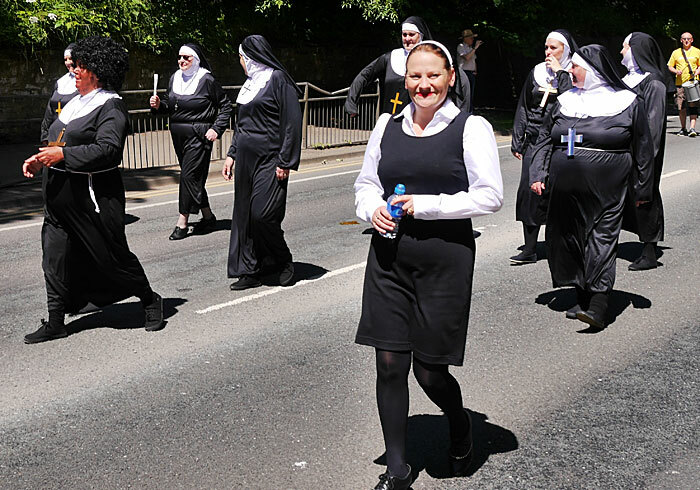 The Dance Ranch did an entertaining routine from the film Sister Act but anyone who missed the perfomance might have been wondering which nunnery these ladies came from. 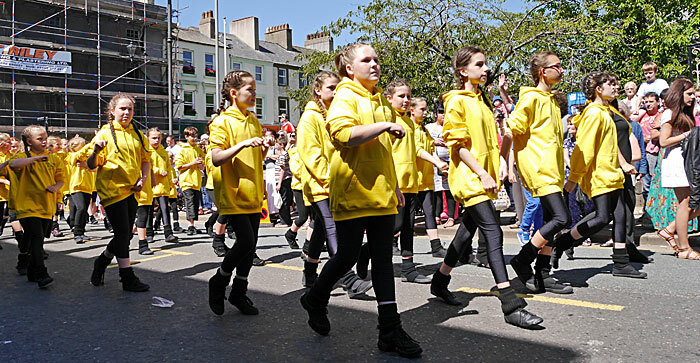 Almost there - more of Starkey's dancers on Lowther Street heading to Castle Park.